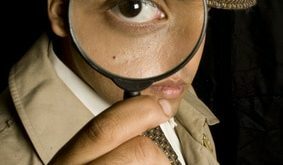 Home / Forensics / What is a Forensic Psychologist’s Salary? Forensic psychologists have an interesting career that combines the law and psychology. Forensic psychologists have many job duties. They spend time analyzing and studying research done by other psychologists, as well as conducting their own research. At times, they study criminals and the crimes they committed in order to determine what traits the criminals have. To do this, they talk to the criminals, their families, and their victims. Another aspect of the job is providing expert testimony during criminal trials. They determine if the accused is fit to stand trail, as well as testify as to why a crime may have been committed and whether or not they think the defendant was capable of committing the crime for which he was charged. These psychologists can also work in the civil court system to determine competency, give second opinions, and provide psychotherapy to people who were victims of a crime. The first step in your education is earning a bachelor’s degree in psychology with a focus on criminal justice or criminology. Your other option is to earn a bachelor’s degree in criminal justice or criminology with a focus on psychology. Once you graduate, your schooling is not over. You will need to earn a master’s degree followed by a doctorate in forensic psychology. Geographic Location – Just like most other careers, geographic location plays a big part in how much a forensic psychologist makes. Those that live in an area that has a higher cost of living such as California, New York, or the District of Columbia, often earn a higher salary than their colleagues in other states, especially if they work for the United States government. Experience – The more experience you have, the more likely you are to have a higher earning potential. Experience allows an employer a great opportunity to hire someone with more knowledge than someone who is just entering the forensic psychologist field, and they are typically willing to pay for this opportunity. Level of Education – It was mentioned above that you need a doctorate to become a forensic psychologist, and this is true in most cases. However, some have successfully found work in this field with only a master’s degree. Though it’s usually harder to find a job, not to mention your salary won’t be as high. Reputation – The more your reputation grows (in a good way, of course) the better your earning potential. Many employers like to hire expert forensic psychologists and will seek them out. This works to your advantage because they are usually willing to pay more to entice you to work for them as opposed to someone else. Now that you know about how salaries are influenced, lets break them down by experience and employer. The U.S. Bureau of Labor Statistics reports the average salary of a forensic psychologist that has up to one year experience is $53,000 per year, while those with over two years on the job earn approximately $57,000 annually. Psychologists that have worked five to eight years are likely to bring home $66,000 yearly, and those with over 20 years experience earn around $80,000 annually. Forensic psychologists who work for state, local, or federal government often earn higher wages at a faster pace than those who don’t. At the state and local level, forensic psychologists get paid an average salary of $63,000, and those who work for the federal government can expect a yearly salary around $60,000. If you would like to learn more about working in this field, please contact us. Next Dental Hygienist vs Dental Assistant: Do You Know the Differences?